If I am using blood as a personal concern in a honey jar should I dry the blood first to make sure it doesn't go rancid sitting in the honey? Also, what are your thoughts about using sweat in spells? It has been extracted from the objects clothing by rinsing with cold water so it is a bit diluted but still smells like the person it belongs to. Yes, i would dry the blood first. Sweat is often used in spells. I have been doing work to separate my wife & I because I feel we are both (unintentionally) holding each other back from becoming our best selves. I have recently been doing work to bring positivity (confidence, understanding, support & luck) into her life. I set and lit a candle last night. When I woke up, there were 2 wicks burning. Has anyone else had this experience before? Yes, this phenomenon is called "twin flames" -- and depending on whether you are drawing two people together or moving them apart, the meaning varies -- but in each case, it does signify that you have the other person's spiritual attention, as it were. A very sincere thank you for your time and energy! Blessings! Hi Catherine! I completed the spell last week and the wax pool that formed from the candles representing my ex and me formed what appeared to be a baby. However, at the last minute, wax from the intruder crept under the scissors and touched the other wax pool. Do you think this represents something and what course of action would you recommend taking? I've ordered the reconciliation book you recommend. Thanks! So I am a bit new to trying to read my vigil candle after it's burned. Due to safety reasons, I have to extinguish the candle from time to time. I was taught previously never to blow the candle out, but to smother the flame which I do by using a piece of aluminum foil. My question is, would smothering the flame cause the wax to stick to the sides like it has? I know you don't do divination readings on here, but I would love insight into the popping noise I heard as it went out. I just chalked it up to the herbs burning in the bottom before the candle finished. The vigil candle I used was a fixed Blockbuster candle from LMC. Thanks for any feedback. Any interference with a straight burn may render a candle unable to be read for divination. In other words, once you choose to do a stop-start burn on a glass-encased vigil light, it would be impossible to read it, because the wax, soot, and smoke effects would be the result of your smothering the flame. 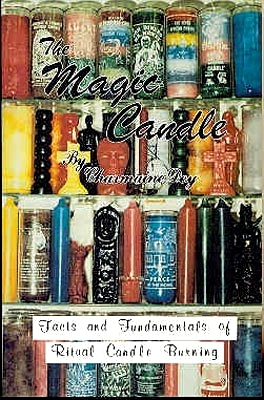 You can read more about this in the book, "The Art of Hoodoo Candle Magic." Hi Ernie. Thank you so much for your response. It makes total sense. A year ago I made an attraction honey jar that was to be used as dressing oil, that I dabbed on me on occasion. My secret ingredient however caused me to stink, on top of being a walking magnet. So, I just disposed of the jar + contents in the trash. Problem solved. I recently washed an old shirt that had residue of the work and the problems started all over again. But now I can't get it off me. I've been doing salt baths, lit candles, anoint myself with uncrossing oil, wash with florida soap. Nothing is working. Could the effects remain active because it got on my clothes and belongings around the house? (I've been washing those too)? And is there a way to end this without remaking the jar? Look at your situation with a clear mind. After that, you will know what to do. recently burned some vigils at home purchased from lucky mojo..
i have read the page on the lucky mojo site about candle divinations, but it only mentions sooty marks and cracks... not a waxy residue or filmy residue.. I would see that as the work is not finished as its not a clean burn, it has a film over like its cloudy so not able to see the work through at this time. the wax distorts the look into the glass. I think that's a good point, j82. Sorry if this has been asked before. But I am doing the Honey Jar spell, where I wrote petition papers and added herbs and lighting the candle on top of the jar every other day for 1 week. When can I expect to start seeing results? I don't want to push the guy for results. I am also wearing attraction, come to me and oils. Hey all...I purchased a candle burn with deacon millet and received the burn report but have no clue what it means..was hopeful someone could help.. It was a reconciliation 7 day candle. Ring- thin glass- Bottom 2 inches clear. The rest fog. Paychy at lip. Goat carrying other goats on head. Door opening. Off road vehicle. ===A sacrifice may weight on ones mind here, yet an indication of an opportunity presenting itself. Best thing to do is email Deacon and ask for clarity that you do not understand the report. Without knowing the purpose of the candle, the oil, herbs or anything, we would be shooting in the dark to help you understand. Besides he burned it for you, I ams sure he can help explain it. Try and look at your petition from the candle and how it relates to this candle. I agree with j82. Spells work (if God allows them to work) on their own time, we just have to be patient. I agree with j82, you need to contact Deacon Millett if you don't understand your report. Honey actually does not go bad and it lasts a very long time, it may crystalize which I have found putting the jar in hot water will reverse that and make it more fluid. I also have placed a honey jar in warm water to make it not so thick and move around to get things flowing quicker. So short answer keep the jar as long as you want. Honey itself is a preservative and does not go bad. If something looks "off" it means something else got into the jar, like mold, water, or something else got into the jar to cause it to spoil which you would then dispose and start a new one. Can anyone help interpret a candle wick that is burning in the shape of a number 9? Or a capitol "D"? The flame is more blue than yellow. It is a Santa Marta Dominadora candle burning along with a St Jude and a San Miguel standing around a honey jar. I am asking for a lover to return. We don't do candle interpretations on the forum, AIRR readers can do that for you, or have a candle set by Lucky Mojo and they will send a report. Lucky Mojo does have some great resources to assist you, some free on the site others for purchase and well worth it if you are interested in candle interpretations. Thank you for the reply with so many great resources! I have a lot to learn! I'm burning the Road Opener to remove obstacles prior to my actual New Home spell candle which I will light tonight as I plan to submit my Housing application tomorrow. Thought it beneficial to start my magic prior to actually handing in my Housing forms, as I've had many blocks put in my way in the past. My Virgo candle has no black soot on the glass, has burnt quietly with a straight wick and a dancing flame which has a nice size which I would say reaches around 2.5cm's in height at it's peak. In just under 2 days it has burnt approx' one third. When I added a drop of oil to each candle last night, and spent some time with and talking to them, the dancing increased.. this felt quite amazing! **What do you think the candles are telling me so far? Hello, CosmicSoul, and welcome to our forum. We cannot answer specific questions here in the forum. Reading candles and candle glass is like reading tarot. It's something you either do for yourself or you can hire a professional to conduct the reading. So today on this good 'ol Monday I burned both my honey jars-- one with a white candle, one with a red candle (I found my red candle stash after I had already lit the white candle lol)-- they're both love honey jars just two separate people. Both candles were double dressed-- with oils and herbs-- the jar with the red candle had a high flame through the entire burn; now if I'm not mistaken that's a good thing! But .. what confused me was the jar with the white candle-- that flame started as normal and ended up a little high as well, but not as high as the other jar.. but the jar with the white candle also did something I've never seen at the end of the burn! Once it got down to the end and there was basically nothing left to burn, the wick in a sense relit itself as if it had no intention of going out! It did this twice before actually going out Once it finally went out I could smell the smoke a lot more than the first jar ..matter of fact I didn't smell the jar with the red candle at all when it went out! I read the page on candle divination-- I actually have a PDF of the webpage saved in iBooks for quick, convenient viewing; but I couldn't figure out how to interpret the white candle.. any suggestions or helpful tips for my next burn on Wednesday? A candle wanting to stay lit would be a good sign to me. If you think spell gone wrong then the work is dead, dispose of it. Two flames then becoming one can be two people coming together. I’m not sure if two flames became one or that just one went out (too much herbs, ugh, I should have known better). 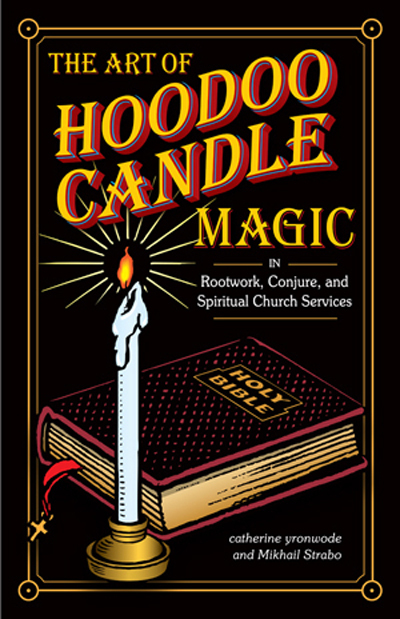 And do you have a copy of Miss Cat's book, "The Art of Hoodoo Candle Magic"? If not, and you are burning your own candles at home, it is simply the best $9.00 you will invest in your candle work. I learned most of what I do as a professional Candle Deacon from Miss Cat directly, and most of what she knows is written down in that book. Thank you Rev Ernest! I actually have that book but forgot about it!! Thank you for reminding me about it! So I did a spirit lead conjure by creating a honey jar with a petition inside --- for love and restored contact (I anointed it with a variety of oils) I also burned a pink Adam and eve couple candle on top of the jar which I inscribed and anointed with oils and personal concerns. Why I did it -- I was with a guy who just cut me off without reason and blocked me from the phone but continued to follow me on instagram. Weird. I blocked him from my page but once I had some time to think about possible conjure or walking away I unblocked him so that he could contact me. We are not friends on there but he can see my page. Everything was going so great and we even booked a trip together then suddenly out of the blue nothing. I decided to do a honey jar after some soul searching and decided to go with my higher self and what I was lead to put into the conjure. I have always had good results with my work so I did what I was lead to do. 1- i pulled a book off the shelf that happened to be published in the town he is from. 2 - i saw a message on my time line that said "what if your ex boyfriend contacted you right now and said i love you i want you back" what would you do? 3 - my friend contacted me and his ringtone came on. QUESTIONS --- The couple candle is almost finished burning after only being lit 5 hours. I messaged him on insta and said no hard feelings and hope to hear from him. Then suddenly his side of the candle's flame went super high while mine stayed the same. I saw he was reading my message but didnt reply. Then hours later the two wicks twisted together and became one and then the flame shot up. It is still burning high. I think these are positive signs that he will reach out. What do you think? And should I burn another candle after this one goes out or just leave it? (Not trying to skip getting a reading -- just want to know in general). I would highly recommened a reading on this situation considering he "ghosted" you, and you do not have communication, and he is not responding. That being said the candle burning in about 5 hours straight is about right for a candle to burn. Many people burn the candles for a series of days such as 5-7-9 days and put it out after 15 mins. The high flame would signify the person being effected, the wicks coming together also a good sign. The last time I burned my honey jar for my ex, which was the 5th burn since I started burning it, the flame started out low and began to alternate from low to high and then it remained high throughout the burn and danced a little. I'm use to the high, dancing flames and I know what they mean-- the new thing that happened is that some of the red candle fell onto my altar, but it was melted wax-- it was just some of the candle, no longer than the backspace key on the keyboard. Any suggestions? I will also be doing my 6th burn tonight so hopefully that flame stays high! Low flame then going high can be a sign of resistance wax melting depending on how it looks can be a sign of tears, look in the shape for meaning. 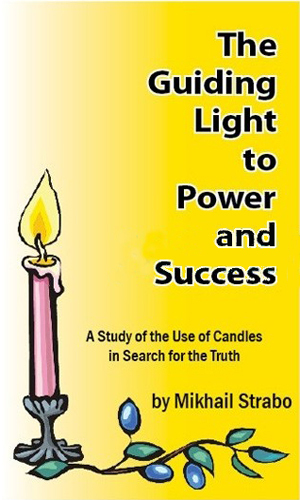 If you are interested in candle reading I would get cats book. Great news! Thank you for posting. Hello, I made a honey jar a couple months ago to sweeten a man to me. I worked the jar for about a month, and then I buried it on my property, because things were good with him and me. However, it seems like the energy/magic between us is dwindling, like a flame that starts to go out. I was wondering if it would be ok to dig up my jar and work on it (pray and burn candles) some more, to heat things up again. I can’t think of this being a problem, but I would love some other perspectives, and if this is not a good idea, why. Plus, if I have to make a new one, I don’t know if I would be able to get ahold of personal concern of his (that’s my because reason not to start a new one). Thank you for all that can help! Yes, since honey does not go bad, you could dig it up and go again, but I suggest you also try using it in food that you make for him. I know that some people bury honey jars to be walked over, but I have personally gotten my own greatest successes from using the honey in food for my loved one to eat. This idea that "someone told me that I need to bury it" is currently making the rounds -- see the same question a few posts above yours. It is UNTRUE that you "need to bury it." 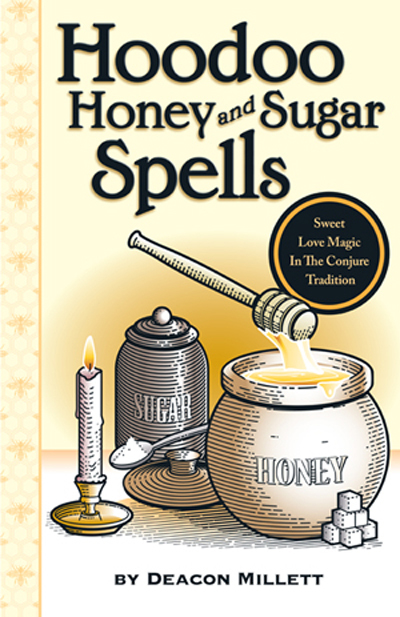 You may do so, if you are laying a foot track spell, but there is no "need" to work that form of trick with sugar or honey. You do not need to dispose of a honey jar, it is custom for people to keep them for years, as coastwitch said the honey does not go bad so long nothing was inside like water to make it spoil. Many people burn a candle on it mon-wed-fr , others work it when needed, some burn a candle once a week or monthly. The choice is yours. For continued work, I would do it at least every friday for love. For your situation to increase the fire I would do it daily for 7 days and read a chapter each day of the Songs of Solomon. 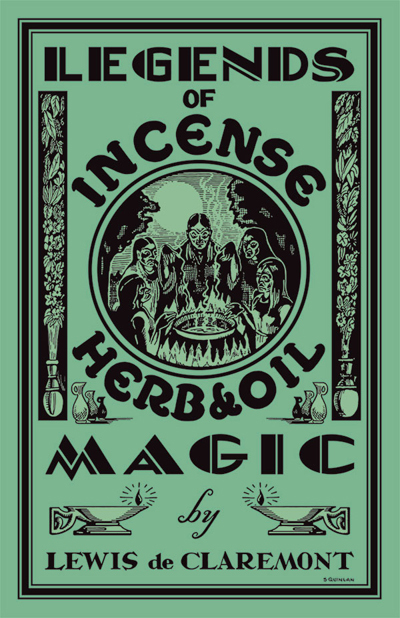 A great oil to add to the work is fire of love oil, and some ginger to heat up the love. There is a book by LM that is all about honey sweet jars, it is a great asset for those interested in this type of work. You can crush the herbs, mix them with a love powder you have like love me now and sprinkle a heart shape on a pan, place the honey jar in the center touching the peek of the heart. Take your candle inscribe the petition. Dress with oil and roll it in or dust it with the powder selected and left over rushed herbs ( this is called double dressing a candle). Now burn the candle on the jar. You can also make a spiritual bath with the herbs and bath in it as well. Thank you for this wonderful advice! Where can I find the songs of Solomon in the Bible? And what chapters should I read exactly? Songs of Solomon are found in the OT of the Bible right after the book Ecclesiastes. There are 8 chapters total in the book, but it only spans a few pages. Each day for 7 days you will read one chapter day 1 ch 1, day 2 ch 2 and so on till day 7 ch 7. The book is really a love story. You can also replace the phrase when he writes " my lover is.." and add the persons name instead so it would read "John doe is" its called adding them in. Nice way to work with scripture for a specific person or thing. For some reason, I deided to read this thread from page one, and, My God, people just keep asking the same questions over and over! How long does honey last? FOREVER. When does honey go bad? NEVER. What does it mean when honey crystalizes? NOTHING; IT IS STILL GOOD HONEY. Can I open the honey jar? YES. Should I bury the honey Jar? NOT REALLY, UNLESS YOU ARE WORKING A FOOT-TRACK SPELL. Should I keep the honey jar on an altar? IF YOU WANT TO; YOU CAN ALSO KEEP IT IN A SECRET PLACE. Do I have to burn candles on my honey jar? NO. How often should I burn candles on my honey jar? YOU CAN CHOOSE YOUR OWN DAYS. Are honey jars slower than other spells? NO. What do I do with the wax from candles I burned on the honey jar? YOU CAN BURY IT. What do I do with the honey? YOU CAN COOK WITH IT. How do I dispose of a honey jar? WASH THE HONEY OUT INTO A RUNNING RIVER AND RECYCLE THE GLASS JAR. There. Now everyone can just point newcomers to this post. You can order right here i the forum by clicking the blue Add To Cart bottun. Deacon Millett of Four Altars Gospel Sanctuary presents full, complete, and authentic instructions on every kind of sugar, honey, apple, onion, molasses, and syrup spell you can imaging. Deacon Millett is a Reconciliation and Love Spell specialist, and the incredible opening section filled with the Deacon's recipes for making your own sugar scrubs, sweet bowl spells, and honey baths! Plus, he has included an extensive "Frequently Asked Questions" section, gleaned from the pages of the Lucky Mojo Forum -- with incredible answers by our intrepid moderators and members of the Association of Independent Readers and Rootworkers. I'm looking for a little help in determining the outcome of a candle I recently burnt. I have used a few candles in the past with preset intentions but this time I decided to burn a plain red palm wax candle for love. I wrote my intentions on the glass in permanent marker, dressed the candle with oils and herbs/flowers and may have overloaded it a bit initially. When I prayed, I prayed to god. I burned this off and on with breaks for about a month or two (sometimes I forgot, and for a while, I was out of town) but finished this up this past Saturday. As you can see, a chunk of the glass broke off at the top when I started burning this candle and to my surprise, also at the bottom of the container..but it still stands. Recently things have been going on in my love life that seem like fate, but could also be seen as coincidence...Any help in interpreting this? Broken glass is almost always seen of a bad sign in working with a glass candle. When doing it to break through something such as a road opener it can be read as a good sign, or in work to break people up. In love work it is not a good sign. I would redo the candles. Its hard to read signs in a candle when its burned off and on because when you put it out it creates smoke and will cause the glass to darken. I would redo the work with a new candle, if you can let it burn all the way through. If you cannot then you can burn it like you did and have one set on the alter at the church by LM to back it up while you are not burning yours. Here is some books and links that would be of good interest. Thank you! I was actually burning other candles at the same time (just got a new job) and this may have been the candles reacting together... so hopefully, that means good things. Earlier today i lit a 6 inch free standing red candle with a love petition under it. The candle had both our names, a short version of my petition and some oil on it. It burned away normally until it got about halfway, suddenly the flame got huge and the candle started to burn very very quickly down the center creating a hole and then the outer walls would fold out and melt and fall apart. In a matter of minutes the candle was down to about 1/2 inch aand it calmed down and is now burning normally again. Ive done a lot of successful candle spells but have never had this happen and although something inside me tells me its positive id like to hear your perspectives on the matter. A fast burn like that means fast action that may not last. Hello--this is my first post--so hopefully I am following protocol. I burned a Come to Me Candle in hoped to bring the right man in my life. I have an ungodly amount of black soot on the top half of the candle. So much so that it looks like I spray painted it black. the flame danced continuously through out the burn with a high flame. Candle took approximately 4 days to burn. The amount of black soot to me indicates bad mojo--any advice on how I should proceed? You will find more about divination from candles on this free web page Miss. Cat wrote as part of "Hoodoo in Theory and Practice".